It might be hard to believe, but I don�t make a habit out of creating controversy in unnecessary places. While many in today�s world just love to create problems in order to get reactions, I�ve always felt I�d rather spend that time doing something else. Like fishing. In any case, I find it necessary from time to time to present multiple sides of an issue in order to keep us all on our toes. I often find myself getting grilled following an opinionated piece intended to reflect opinions other than mine � most readers confusing the viewpoint as my own, rather than paraphrasing the perspective of others � but I can take it. Today, we�re again going to dig deeper into a subject that may seem relatively harmless. But industry reaction may indeed be critical. 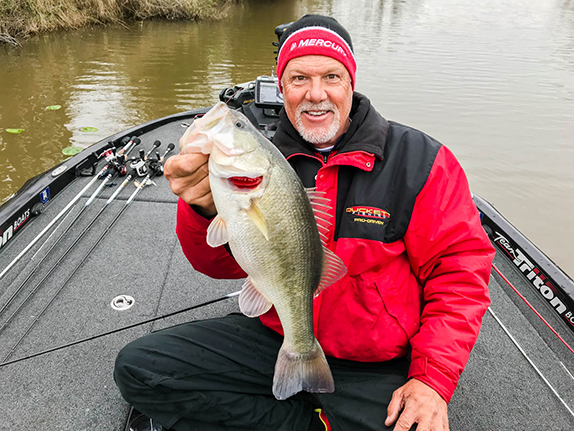 For umpteen years, tournament bass fishermen have used culling clips � those that puncture the fleshy material of the lower jaw of a bass � in order to mark and quickly handle fish. Recently, B.A.S.S. made such a practice illegal in its tournaments, insisting that competitors use non-puncturing models that clip to the fish. No big deal, right? Maybe. Let me introduce a story. Throughout my youth, my family kept a well-stocked bass pond in our back yard. While the pond�s fish naturally reproduced, the true lunkers were transplants from New York�s famed Chautauqua Lake. At the time, all of my family fished, and we often kept bass for the frying pan. The big girls were held like their younger brothers � on a rope stringer through the lower jaw � until the �culling� was done between the fish intended for table fare and those used for stocking. The big bass would retire to a long and happy life in our pond, each with a notable hole in its bottom jaw. That was, in fact, how we identified stockers versus naturally reproduced fish for years after. In all, dozens of bass lived in that lake with holes in their bottom lips, and not one of them ever showed signs of malnourishment or the inability to feed. In fact, they were usually some of the healthiest fish, likely due to their above-average size at stocking. My point is this: What you just read is the closest thing to any scientific study I�ve ever found on this issue. 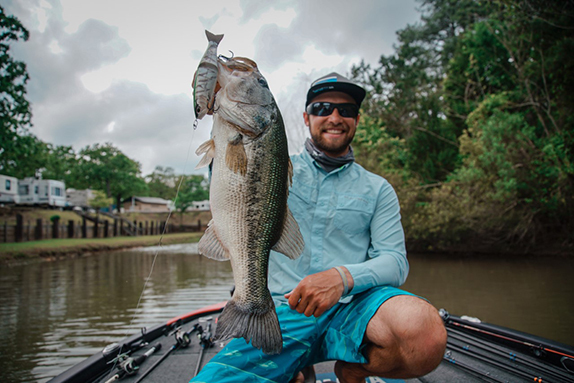 Nowhere has it ever been recorded that a hole in the lower jaw of a bass has a detrimental effect on feeding or health. Now, I know; I�m just digging up a can of worms. You see, like any other sensible person, I have no problem with the use of non-puncturing clips, provided they work as well as those that go through the jaw. Why would I? That�s not the point. My true concern lies in the face of political correctness, and policy based on uneducated perception. Here�s an example that may hit a little harder. In 2015, the state of Florida held it�s first bear hunt in 21 years. The combination of better management practices and an overwhelming increase of bear/human interactions convinced the Florida FWC that the time was right to reduce the population. In all, over 300 bears were legally harvested by permitted hunters. The following year, massive public outcry over the event resulted in a canceled repeat hunt, despite the bear population showing continued strong numbers. In black and white: people who think bears are cute made the decisions on hunting policy. I wonder how cute turkeys are. Or deer. Again, voicing concern so we consider all sides, how precious are bass? 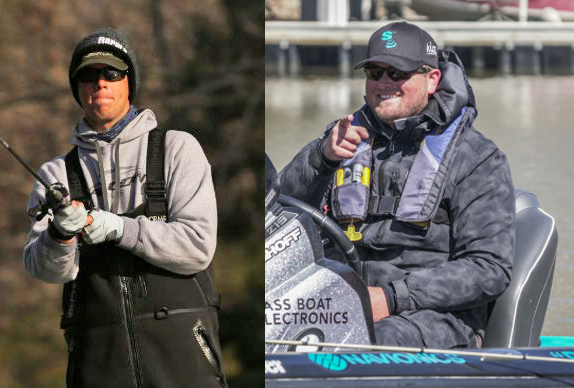 It may surprise many people � both anglers and non-anglers � that flipping a bass onto the carpet of a boat is overwhelmingly, drastically worse for its health than any other landing or handling method, and that�s science, folks. It�s worse on that bass than holding it improperly, worse than netting it, and certainly worse than popping a hole in it�s bottom lip. And the all-time, greatest bass killer in tournaments across the country? Extended periods in a weigh-in bag. Proven fact. In any case, what we�re dealing with here is a fabricated, misinterpreted method for �creating policy� within our own fishing community. Again, I�m all for non-puncturing clips. However, what I don�t support is ignorance of the real issues at hand, and the science that supports different changes in behavior. Love your bass? Insist on science over perception.